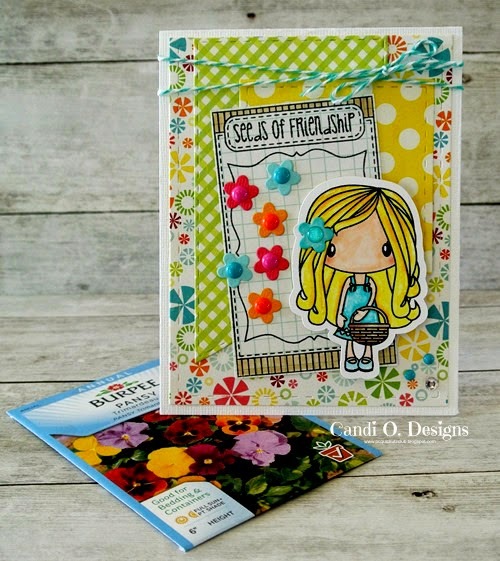 I just think this little girl is adorable and paired up with the new seed packet stamp made a great card! I hope I've inspired you with some of Jaded Blossoms goodies!!! Have a great day!! This is soooo cute. I loVe it. Thanks for sharing. A Special Treat From the Easter Bunny!!! A basket full of treats! You Are One Tough Cookie! We go together like Milk and Cookies!